Here’s a guest post from Rik Goldman, a teacher from Chelsea School in Maryland, US, who has been using the Raspberry Pi in the classroom. He’s got some thoughts about what excites kids about STEM education, and what impact the Pi has had at his school. We’d like to share them with you. I urge readers to look back boldly: Is it not impossible to exaggerate the grip Mohawk Guy had on Networked Americans? In all honesty, I thought it was just me: My spouse was driving us to Florida while I read livefeeds of the Mars Rover’s late-show landing on August 5-6, 2012 – days prior to the start of this Fall term for secondary students and teachers in the United States. Being not entirely dull, I recognized sometime before dawn that there had to be something significant in the realization that I had learned more about Mohawk Guy in two hours of livefeeds than I had about Mars over the course of years of education formal and informal. “Mohawk Guy,” a Mars rover flight director, isn’t just a social media sensation — he made an impression on President Barack Obama, too. “I, in the past, thought about getting a mohawk myself, but my team keeps on discouraging me,” Obama told scientists at NASA’s Jet Propulsion Laboratory in a phone call Monday broadcast on NASA TV. “And now that he’s received marriage proposals and thousands of new Twitter followers, I think that I’m going to go back to my team and see if it makes sense,” he said to the sound of laughter from dozens of NASA employees. Ours is a small, nonpublic, secondary school serving urban students; perhaps it isn’t representative. Nevertheless, an informal poll of students who know of the Curiosity’s landing suggests that it’s had null impact on their interest in STEM fields (the majority of students polled did not know of the Curiosity mission). Our faculty and administration corroborate the findings of this informal poll: Our Head of School suggests Curiosity’s success has had no impact on our students. The teacher of Fundamentals of Technology, a state-mandated course, suggests that our students have not been explicitly moved by Curiosity. In my role as the academic coordinator of the technology department, as well as in my role as an advanced technology instructor, I can also testify that students aware of Curiosity are no more invested in STEM as a result of the mission’s success. Nevertheless, it would be dishonest to say there hasn’t been a tidal change in student’s interest in STEM fields this academic year: In academic year 2011-2012, our co-curricular technology club had one student and a spotty meeting schedule; the student wasn’t enrolled in any technology classes but is a stellar kinesthetic learner, so our focus was on troubleshooting, building, and replacing ATX PCs and components. By way of contrast, at our annual club fair this academic year, two-fifths of our population – from both the middle school and high school – joined the technology club. The enthusiasm for the club this year overshadowed that of any other co-curricular club offering – and came very close to challenging our extraordinarily popular basketball program. Two things notable about our showing at the club fair: in contrast to other prospective clubs, tech club did not rely on trifold boards. Our presence was simply but markedly different, and I have to credit this difference for some of the enthusiasm: we had two Raspberry Pis at the table as manipulatives; along with the “Raspis” was an open box with every surface covered in visual information about the Raspberry Pi. If you’re just hearing about the Raspberry Pi, don’t be concerned. It’s a computing technology that saw it’s first public release in March of 2012. At that time, the Raspberry Pi was a credit-card sized, single-board computer developed in the UK that included 2 USB ports, a 10/100 Ethernet (FastEthernet) port, an SD card slot for secondary storage, an HDMI port for high definition video, component video out, and a 1/8” phone plug to provide stereo audio output. At the time of its initial release, it featured 256MB of RAM shared by its ARM processor and very capable video processor (it now features 512MB – the price point remains the same); the additional features include an array of input/output pins that make the Raspberry Pi extraordinarily conducive to electrical engineering and hardware innovation. In sum, at the time of its debut, the Raspberry Pi was a computer with video capabilities roughly equivalent to those of Microsoft’s XBOX and processing power that would be familiar to those who remember the Pentium III generation of PCs. An array of operating systems is available for the Raspberry Pi, including at least three GNU/Linux distros. Each of these operating systems is supported by a community with deeply shared commitments: promote software, hardware, and electrical engineering in primary and secondary schools. Distros provide versatile tools for a computer science: A language developed at MIT, Scratch, uses a visual approach to reinforce very complex programming ideas to primary school children. Python, which was originally considered an official language of instruction for Raspberry Pi is versatile, extensible, and celebrated especially for its similarities to natural language syntax. Too often, Raspberry Pi advocates forget to mention that bash and dash shells are included and are essential for students interested in systems administration and automation. 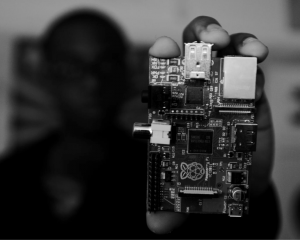 If we take into account that the Raspberry Pi is a product of a nonprofit foundation committed to promoting STEM education, that the $35 cost of the Raspberry Pi is the cost of production with no overhead built in, we have a fairly convincing case for, at the very least, discussing how the Raspberry Pi could inform STEM curriculum revisions for even the earliest grades. 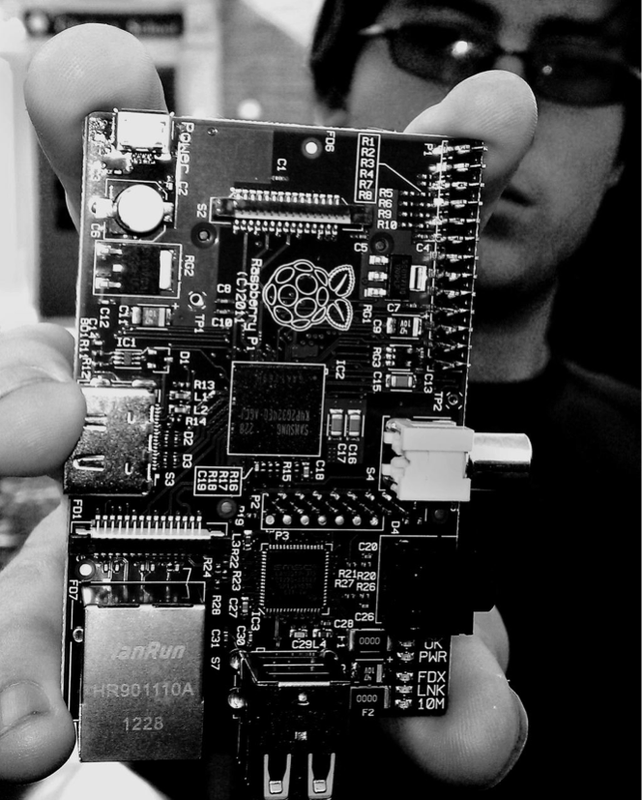 I’ve seen enough frankly: the Raspberry Pi has ignited student interest in STEM fields. “Too soon, too soon:” there’s a reluctance out there that I don’t share. 1. Given only brief exposure to the device and an opportunity to manipulate it, our technology club participation has skyrocketed from 1 student to 2/5 of our student population. 2. Our advanced technology students are using the Raspberry Pi to learn system administration, shell programming and automation, and programming with Python. 3. Our Web Design and Development student has built two web servers from the “official” GNU/Linux distro for the Raspberry Pi – one LAMP server and one Node server; he uses both to practice both design and administration. 4. Two students – one advanced technology student and our Web Design student, are working with an international group of collaborators to create a computer science and information technology curriculum for grades 8-12 that covers electrical and hardware engineering as well as programming and system administration and that shares Raspberry Pis as a common resource (to be grounded in the sound pedagogy of constructivism and authentic assessment). 5. Technology Club has been introduced to program control flow with Scratch and has begun converting a tabletop game to a computer game with Python. Still to come: temperature logging and graphing; creating a Raspberry Pi SDK (software development kit); contributing code with educational or humanitarian goals to the open-source community; revision control with the Raspberry Pi; adapting a revision control system intended for code to the needs of academic writers. If our school is any indication of what’s happening in UK and US schools, Mohawk Guy and Curiosity pale in comparison to the potential of the Raspberry Pi to impact students’ investment in STEM education. Early this term, I provided a Raspberry Pi and a running instance of Scratch to a single student in each of three periods. In each case, the student said the same thing after almost precisely five minutes working with Scratch: “This is amazing.” I find that very compelling; and at a $35 price point, I find it appealing not only in my role as a teacher, but also as a citizen committed to economic and social justice. Judkis, Maura. 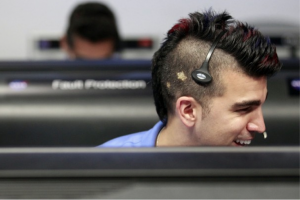 “NASA’s ‘Mohawk Guy’: 5 reasons the Internet is obsessed with him.” Washington Post. Washington Post, 06 2012. Web. 4 Dec 2012. http://www.washingtonpost.com/blogs/arts-post/post/nasas-mohawk-guy-5-reasons-the-internet-is-obsessed-with-him/2012/08/06/960f62da-dff5-11e1-a421-8bf0f0e5aa11_blog.html. Landau, Elizabeth. “Mars rover mission’s ‘Mohawk Guy’ inspires Obama.” CNN. CNN, 15 2012. Web. 4 Dec 2012.http://www.cnn.com/2012/08/13/us/mars-rover-curiosity-obama/index.html. Kolawole, Emi. “Bobak Ferdowsi, aka ‘Mohawk Guy’ and STEM education’s new dream come true.” Washington Post. Washington Post, 08 2012. Web. 4 Dec 2012. Wikipedia contributors. “Raspberry Pi.” Wikipedia, The Free Encyclopedia. Wikipedia, The Free Encyclopedia, 3 Dec. 2012. Web. 4 Dec. 2012. This post was first published at gonzotech.tumblr.com. I’ve been doing this too long – I shouldn’t assume that’s an acronym everybody knows! We also have STEMNET in the UK, which those of you who are interested in getting kids excited about science, technology, engineering and maths should investigate; they’re always looking for volunteers. STEMNET (UK) is great. I’ve volunteered (Ambassador) and will be starting an ICT Club in January. I was hoping to not use the term ICT, but the school wanted it. Great result and great post. It is interesting to read comments about the need for raspberry pi – it seems education worldwide was seduced by Microsoft and prostituted itself to that multinational. Our local education system pursued a ruthless policy of forcing all schools to pay for a statewide site lic. for a suite of Microsoft products whether they were using IBM compatible machines or not. All in the pursuit of a ‘standardised’ operating system – a euphemism for training in the use of Microsoft products. Instead of education exposing children to a wide range of educational experiences with different operating systems we dumbed down to Microsoft training. The whole exercise was an educational fiasco and was like insisting all children only read from books published by a single writer/printer. We became a system that made children users/consumers rather than creators. Trained to use products rather than explore and create using technology. Couple this with the rise of cheap handheld entertainment devices it is little wonder that children were lacking the range of experiences of a few decades ago. It is great to see and read of a teacher utilising the raspberry pi to enrich his students education. First order: Apologies for not clarifying STEM jargon in the States. I knew better and missed an opportunity to improved the post. 2) Thank you for the substantive comments! The comments are so meaningful, flattering, substantive. 3) Ross McGuinness, every one of your points is spot on. I’m a committed advocate of authentic assessment, whether I’m teaching lit, composition, or advanced tech. The Mentor had no idea how right he was, in so few words) about how wrong schools did pedagogy (Hacker’s Manifesto). I’m rereading Hackers and Painters now and realizing the Mentor and Paul Graham are both talking about what Popham would call authentic assessment. It’s considered best practice here, at least for ed students pursuing higher degrees. Can’t understand why it’s no where to be found.